How would you like a chance to win a car and other exciting prizes? 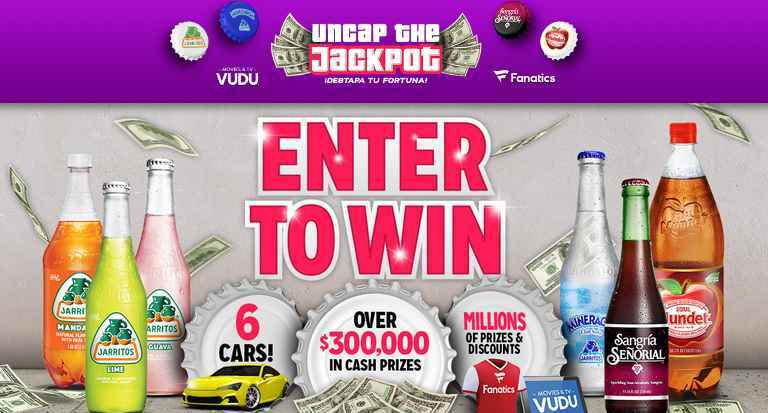 Enter the Novamex Uncap The Jackpot Instant Win Game now through September 15, 2018 for your chance to win over $3000,000 in cash prizes, Millions of prizes and discounts plus have a chance to win 1 of 2 Vehicle worth $30,000 each. With Purchase: During the sweepstakes period. purchase any participating Novamex product, and look for a 7-digit game code under the cap after that visit sponsor’s microsite online at www.myprizes.net or www.WinPrize.com for your chance to win. When To Enter: The Sweepstakes entry begins at 12:01 a.m. Eastern Time (“ET”) on Tuesday, May 1, 2018 and ends at 11:59 p.m. ET on Saturday, September 15, 2018 while supplies last. Who’s Sponsor: The Novamex Uncap The Jackpot Instant Win Game is sponsored by Novamex, 500 West Overland Ave., Suite 300, El Paso, TX 79901.